Congratulations to 2016 Product Design graduate Josh Akhtar who won the W’Innovate & Wilko Award at the prestigious New Designers Exhibition in London. 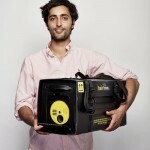 Josh’s award winning product is Bait Hive, a sustainable low-cost design solutions for a foldable bee hive. The prize is £1,000 cash plus a two-week placement with W’Innovate. 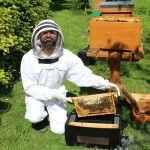 Speaking about his winning design, Joshua said: “My father has kept bees for years and used to get me to muck in. 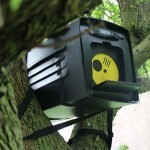 The Bait Hive is designed to be used in a wide variety of locations and is dedicated to swarm capture. 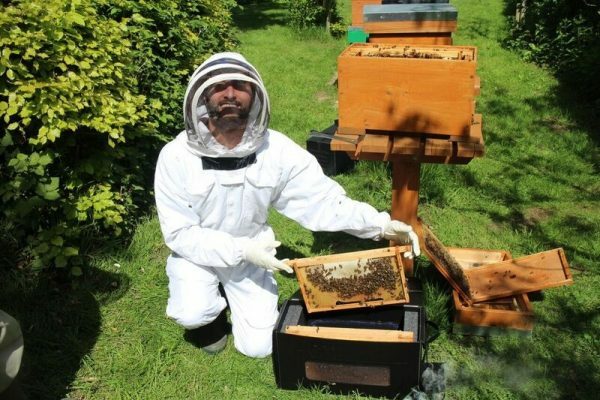 It utilises a pheromone to aid in attracting a swarm, and once it enters the hive, a rotating door is used to trap the queen whilst allowing the colony to continue to forage, ensuring the swarm stays in its new location.